Amanda Powell and her husband Jon were thrilled to be expecting identical twin boys Walker and Clark. 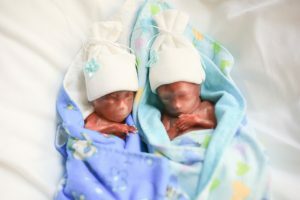 But after a diagnosis led to their premature births and deaths, Powell struggled to not feel anger toward women who have chosen to abort their children and celebrate their “right” to do so. 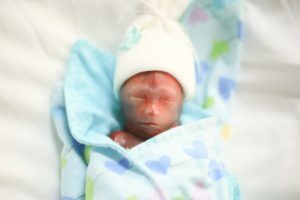 At 15 weeks gestation, Powell began to suffer bleeding and was taken to the emergency room. She learned she had a subchorionic hemorrhage and was placed on bed rest. Doctors monitored her twice a week and after three weeks they learned the bleed had begun to resolve itself. Powell was elated, but that joy and relief lasted only a few days. The couple was given the choice of inducing, which Powell says would “essentially terminate the pregnancy,” or go home and hope labor didn’t start. 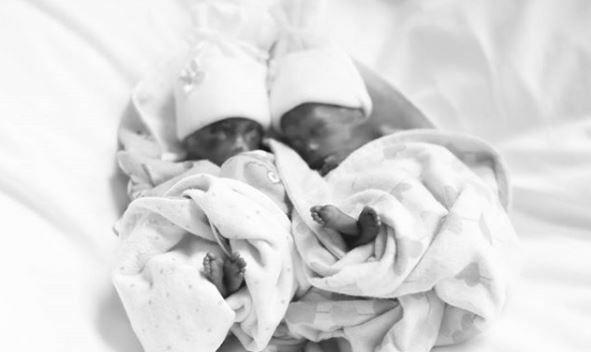 The boys needed three more weeks to be strong enough for doctors to intervene if they were born prematurely. Another ultrasound a few days later showed that the boys were still healthy and strong, but later that same day the labor pains began. Jonathan “Walker” Powell was born first, weighing 9.2 ounces. His brother Clark Alexander Powell was born 13 minutes later weighing 9.5 ounces. You looked so happy and watching you reminded me that I wasn’t going to be taking my two in my arms home with me. I felt my entire heart shatter in that moment, but I don’t resent you. As I shattered and tears ran down my face, I began to smile. I smiled for you and your happy family. To the woman who spoke on her abortion and colorfully expressed her opinion on being pro-choice, I don’t resent you. With every word you spoke, I could feel my heart break. It shook me to the core to listen to someone speak of ‘terminating’ their pregnancy. You chose to kill your child, but I had no choice for my boys. My husband and I refused to induce and end my pregnancy, even when we were told how unlikely any good outcome would be. 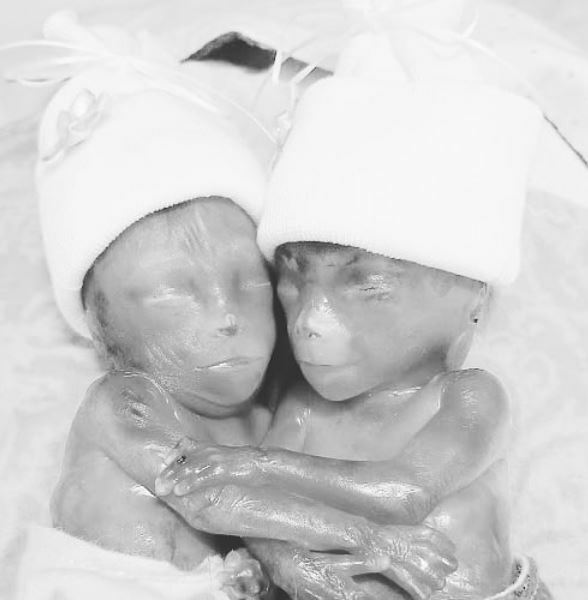 We loved our unborn children so much that we would risk it all for that small chance of saving their lives… and we couldn’t. Anger and angst began to swell in my chest and I wanted to hate you, but I couldn’t. I felt sorry for you. Your actions and words sadden me, but you have no idea what you’re fighting for. You don’t know what it’s like to hold your tiny baby in your arms for the last time. 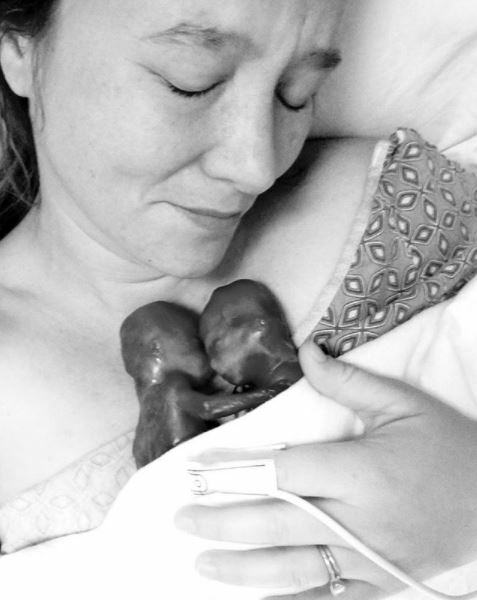 You have no idea what it is like to not have a choice if your baby lives or dies. Instead of succumbing to my feelings of hatred and bitterness, I prayed for you. Powell expresses what so many in the pro-life movement struggle with when it comes to those who are vehemently pro-choice and wear their abortions as a misguided of badge of honor. 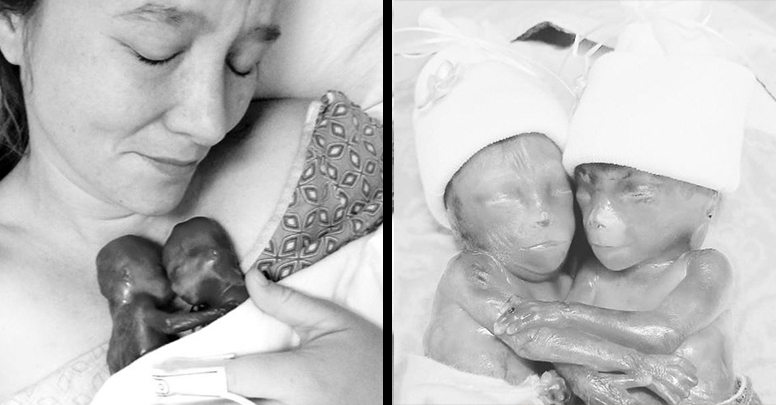 There can be a lot of anger that swells up in the battle to save preborn lives from abortion. But Powell is right. 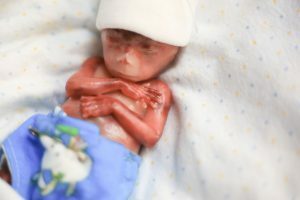 Instead of anger, pro-lifers need to feel pity for the lack of understanding and knowledge pro-choicers have of abortion and life inside the womb. And pro-lifers need to not only educate pro-choicers but pray for a change of heart for all those who believe that killing preborn children is a right and even a necessity. Powell was able to take a tragedy, which she refers to as “the best terrible thing that ever happened to me,” and use her sons’ short lives to show others how precious preborn children are. She shares their humanity, their value, and their beauty in hopes that all women will embrace the gift of life given to them through pregnancies and love their children no matter what.